"The Enemy is Already Defeated"
How we perceive our great enemy will largely determine how we fight against him. Unless we grasp how the devil fits into God's scheme of things, we will find it difficult to stand against his conspiracy against us and his influence within our culture. 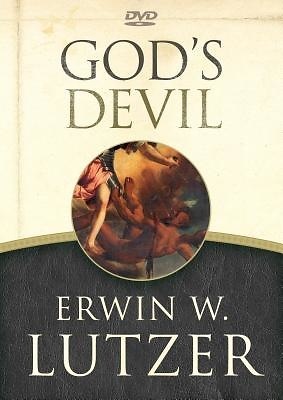 Intended to be used with "God's Devil" and the accompanying study guide, this DVD provides extra teachings by Pastor Lutzer. It takes you further into the history of Satan and his interaction with the Almighty, helping you better grasp his fall from glory, why he always loses even when he 'wins, ' and-best of all-why those transferred from the kingdom of darkness into the kingdom of light are able to stand against him. "God's Devil "is a book about Satan, but it is also a book about God's power, God's program, and God's purposes in this world. Let this accompanying DVD-ideal for group and individual study-comfort you with the truth of God's providence.